Since our beloved MTN N0.0k free browsing cheat has been slashed from 1GB daily to 50MB daily, I guess it's time we switch back to our mPulse data. 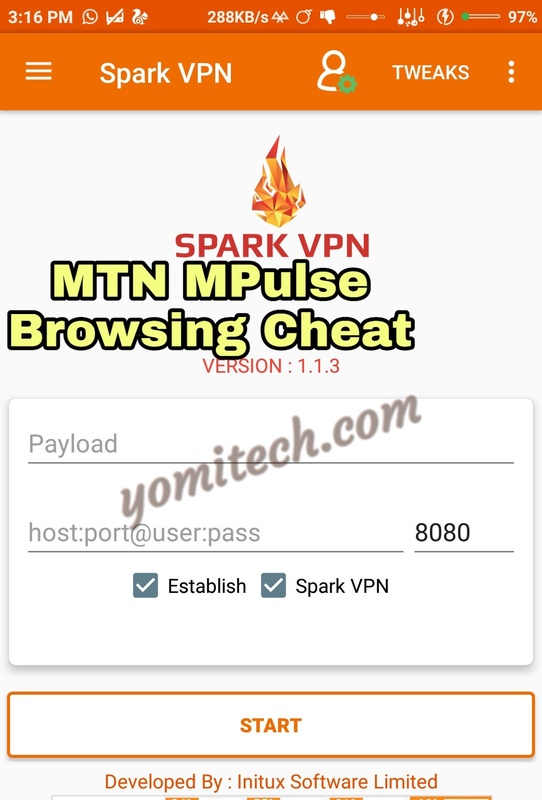 I am pretty sure most of you are still flexing the MTN Mpulse browsing cheat with HTTP Injector. Unfortunately, a lot of people have been complaining about being unable to import the HTTP Injector config file due to one reason or the other. I have decided to post an alternative method using Spark VPN. This is equally as fast as HTTP Injector and also straightforward. So if you are having issues with the HTTP Injector method then you can try Spark VPN. Config File 3: Download HERE or HERE. Config File 4: Download HERE or HERE. >> Download the MTN MPulse config file HERE. Can someone migrate to that with old sim card? I can't fine the mtn configure file on my phone and I've done the subscription already! This can work on rooted Phone?? My samsung j3 is always connecting and disconnecting within few seconds. Also writing connection lost. Pls what can be done? A new file will always be uploaded before the current file expires. Just check back like a day before the current file expires and download from the same link. All the files there are the new ones. They are always updated. Please do I need to subscribe with money mpulse and how much data per day? Yes you do and the data you get depends on the plan you subscribed for . The files im downloading here are all expired pls resolve the issue thanks! All the files have been updated, kindly download again.